The charts below clearly show that the Dow Transport and the Dow Industrial indices continue to exhibit divergent modalities. Since November 2009 the charts indicate that the Industrials have reached higher highs but the Transports have failed this test and have been range bound for nearly all of 2012. The direction and the momentum with which the Trannies break from this range will be most significant. I believe the market is awaiting with trepidation the results of the November presidential election. As we speak the polls are indicating that either candidate can win and this is bringing a fair degree of uncertainty into price action. The major concern is the position of Mr. Romney with regard to Iran given his predisposition to quickly consider war as a policy option. A new Middle Eastern conflagration is the last thing the world economy needs right now but unfortunately he has been boxed in by powerful interests. It is hard to see how he can march himself down the hill of imminent warfare, formal or covert, should the hand of destiny finally fall upon him. The forward looking indications from Google, Microsoft, IBM, Intel, UPS and FedEx are negative. I think this is due to the contraction in world demand caused by European austerity. However the results from financials, banks, brokers and real estate are more positive. This is due to the low interest and quantitative easing policies being imposed by the FED. Short term earnings disappointments aside, should the issue of the war with Iran be taken off the table quickly and if American real estate and banks continue to gain strength then the scenario could be set for solid future American economic growth. Such a recovery would help Europe stabilise its sovereign debt problem and allow national economies to end austerity and invest again in expansion initiatives. This action would save the Euro from a catastrophic demise and allow another uncertainty to be cancelled from market calculation. Such a situation would consolidate the grounds for a sustainable US recovery over the next decade. Thus I reckon a lot will be decided in the next few months, not least of which what type of administration will be entrusted to attempt to finally end the greatest structural recession since the great depression. The stakes could not be higher. “GERMAN CHANCELLOR Angela Merkel has upended a carefully crafted plan to resolve Europe’s banking crisis, delivering a sharp setback to Taoiseach (Irish Prime Minister) Enda Kenny as he battles for a debt relief deal. Moments after Mr. Kenny declared in Brussels that he had achieved solid progress overnight at a tense EU summit, Dr Merkel moved abruptly to curtail the scope of the effort to break the link between bank and sovereign debt. The chancellor’s intervention, which took high-level EU figures by surprise, has cast a new cloud of uncertainty over the feasibility of Mr. Kenny’s demands. For the first time in public, she backed her finance minister Wolfgang Schäuble in his assertion that national bodies must remain responsible for most banking debts. This is markedly at odds with the push from Mr. Kenny and the leaders of France, Italy and Spain for the European Stability Mechanism bailout fund to pay for historic banking losses”. As the above quote clearly indicates the Euro crisis is far from over. In fact all I see is a political civil war breaking out. In addition to the problems being experienced by Mr. Kenny David Cameron, the British Prime Minister, announced at his recent party conference that he wished to totally renegotiate the terms of Britain’s membership of the European Union. Should he not get want he wants he has indicated that he may consider withdrawing Britain completely from Euroland. Such an outcome would be a disaster for Europe in general and Ireland in particular. Where England goes Ireland may be forced to follow given the close relationship between the Dublin Financial Services Centre and the City of London. What is at stake here is the future of the “City” itself. Frankfurt wants to be the pre-eminent financial centre in Europe. However London refuses to give up its pole position. This is why Cameron is against the imposition of greater banking regulation based in Europe and is totally opposed to the financial transaction tax proposed by the European Commission. London quite rightly fears that if it starts applying this imposition business will flee from the “City” to more liberal destinations like New York and Hong Kong. This statement made by a youth in Greece last week sums up the general frustration of young European graduates living not only in Athens but in Dublin, Madrid, Lisbon and Rome. Nearly 50% of youths under the age of 25 are unemployed in these capitals. For this abandoned generation the European Stability Mechanism offers no solution. This is because the central issue is not banking recapitalization and sovereign debt support but jobs and growth and hope. To achieve real growth Europe needs to become more competitive. It requires debt write off. It demands investment not draconian austerity. It needs real leadership. For many observers the 500 billion Euro ESM is a diversion that is mis-guided and conceptually flawed. It will not achieve the objectives of banking recapitalization and sovereign debt stabilization for two main reasons. Firstly it is being partly funded by those countries needing funding, which is going to play havoc with its S & P ratings down the road. Secondly it is too small for the task at hand. The task will require in the region of 4-5 trillion Euro to adequately do the job, yet the federal courts in Germany have put a limit on Germany’s contribution. This renders the fund’s potentiality suspect from the get-go. Even though the ESM is inadequate and problematic all political energy is currently going into its gestation. There is no other political game in town even though national economies and concomitant institutions are collapsing due to rapidly falling money circulation. This situation cannot continue indefinitely without serious consequences. That which cannot continue, won’t. Currently, as we speak, the main fascist party in Greece “Golden Dawn” is growing at an alarming rate. This development is due to the fact that people are desperate for solutions to their social and economic problems. However, solutions are not forthcoming from mainstream political parties. This is worrying. Peter Drucker in his 1939 classic: “The End of Economic Man the Origins of Totalitarianism” spelt out the consequences of such failure. The end result was the horror of the Second World War. Unfortunately Angela Merkel is ignoring the lessons of history and is making the same mistakes again. 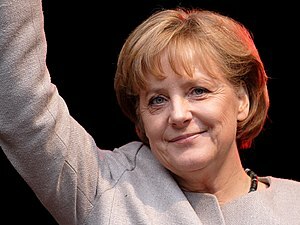 I think Dr. Merkel will go down in history as the worst chancellor of Germany since you know who. To alter this perception she must strive to lead her nation in a new direction. She must help her people understand that Germany is the main beneficiary of the Euro currency in that it allows cheap German goods flood into France, Portugal Spain, Italy, England, Ireland, Poland, Russia and Turkey. Should the Euro fail, any new Deutschmark would be so over valued that German exports would quickly collapse, contracting its economy to the level of its austerity bound neighbours. Thus the type of political leadership desperately needed in Germany now is not the style that focuses on narrow national party politics but one that values a shared European vision for the future, a vision that is creative not destructive. What is sorely needed now more than ever is statesmanship not political cunning. Let us hope that Dr. Merkel will have such an epiphany soon, very soon. There are signs of serious jitters in the City today. As feared, the yield on Spain’s 10-year bonds has now risen about 6% (6.03% at pixel time). The stock markets are all still lower,, with Spain’s IBEX down 2.66%. There are several triggers for this sudden chill wind. The protests in Spain last night are certainly a factor – with analysts trying to assess whether the Spanish people have been pushed to the limit. Portugal’s u-turn on its latest tax rises (which threatened a political crisis in Lisbon) has also served as a reminder that politicians are still answerable to the people. Another factor is that the eurozone’s commitment to recapitalise its banks through the European Stability Mechanism appears to be fraying. A statement last night from the finance ministers of Finland, Germany and the Netherlands appeared to reject some of the decisions made at last June’s summit (great analysis here on FT Alphaville). If legacy banking assets aren’t going to included, how on earth with Spain and Ireland scrub their financial sectors clean? The fear that Germany, the Netherlands and Finland have reneged on the deal has also hit Irish sovereign debt, pushing up the yield on its 10-year bonds to 5.213%. The need for Ireland and Spain to pump billions into their banking sector to keep them afloat forced otherwise fiscally prudent governments into eurozone bailout programmes with painful austerity measures that have exacerbated recessions. Under the June deal, such bailouts would no longer be the responsibility of national governments but would shift to the eurozone rescue fund, the European Stability Mechanism, which was given the authority to inject capital directly into struggling banks. As part of the deal, Ireland was given a promise of equal treatment with Spain………………………………. 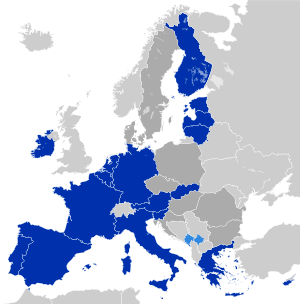 What Next For The Euro-Zone? The Euro Is Finally Being Saved . In the early hours of friday morning German resistance to a rational and comprehensive resolution to the Euro crisis was finally crushed. It will take some time for the full implications of this historic result to filter through to the markets but the fact that the dark cloud of dissolution of the Euro is now passing can only be positive. “Angela Merkel took a tough stance ahead of the EU summit, insisting she would not make concessions.But Italy and Spain broke the will of the iron chancellor by out-negotiating her in the early hours of friday morning. Germany caved in to demands for less stringent bailouts and direct aid to banks.The key to getting your way in tough negotiations, of course, is to find your opponents Achilles’ heel.Italian Prime Minister Mario Monti and Spanish Prime Minister Mariano Rajoy did that on Thursday night and early Friday morning in Brussels. common currency bailout funds to give direct help to ailing banks and to become active on sovereign bond markets to provide relief on the financial markets — free of conditions for the countries in need of such aid.With good reason Monti emerged from the late-night negotiations as a clear victor, having broken Chancellor Angela Merkel’s resistance. Monti together with Spanish Prime Minister Mariano Rajoy secured easier access to the permanent euro-zone bailout fund, the European Stability Mechanism (ESM).Euro-zone member states which fulfill the budgetary rules laid down by the European Commission can now receive aid without agreeing to tough additional austerity measures. Strict oversight by the troika of the European Commission, European Central Bank (ECB) and International Monetary Fund (IMF) would no longer apply. The agreement will allow the ESM to recapitalize troubled banks directly instead of loaning the bailout aid to national governments in exchange for austerity commitments. That model had been called into question after the EU agreed recently to provide Spain with €100 billion to prop up its struggling banks.Investors, however, became nervous about Madrid’s ability to shoulder that debt, and interest rates on Spain’s sovereign bonds had skyrocketed in recent weeks.In addition, emergency aid funds will in the future be made available to stabilize the bond markets without requiring countries, providing they are complying with EU budget rules, to adopt additional austerity measures. From my own perspective it is astonishing that it has taken so long for the twin elements of the crisis to be identified and segregated. Up until now, under German insistence, they had been joined at the hip.What do I mean by this? Well prior to Friday the 29th Dr. Merkel was insisting that any assistance to banks must go through Governments. Badly needed banking bailouts from the ECB were thus being added to sovereign debt balances. These growing debt levels were affecting sovereign bond costs making raising money in the markets prohibitively expensive. This increased expense was bloating day to day government running costs despite the fact that “austerity” measures were being demanded by Germany. 1. Banks can receive bailout funds from the ESM without affecting sovereign borrowing levels. 2. The new ESM fund can buy sovereign bonds directly thus lowering state borrowing costs. “now this is not the end. It is not even the beginning of the end. But it is, perhaps, the end of the beginning“Finally the banking aspect of the problem has been separated from the sovereign bond element of the crisis. Why the process to identify and solve this fatal flaw in Euro policy has been so tortuous I will never know but better late than never I say. Politicians can now go on summer vacation happy that when they return in September a template in now in place upon which to build a secure and stable structure for the future maintenance of the Euro currency. They will thus be in a position to remove for once and for all the market risk of a potential demise of the Euro and with it a total collapse of the economies of the fledgling European Community. Such a prospect was incomprehensible and as a result of Friday’s action by the European governments I think we can start to put this threat behind us. Will Mr. Market agree? (C) 2nd July 2012 Christopher M. Quigley B.Sc., M.M.I.I., M.A. ESM REFERRAL: Does S&P have a mole inside the Karlsruhe Court? ‘Standard & Poor’s Ratings Services said today that the delay by the Federal Republic of Germany (unsolicited ratings AAA/Stable/A-1+) in ratifying the European Stability Mechanism (ESM) has no immediate rating implications for sovereigns in the European Economic and Monetary Union (EMU or eurozone). German Supreme Court rules against Merkel on ESM. Will she now recognise the Rule of Law?